Life with Liv: Hotel Chocolat Valentines chocolates & bubbly competition. Hotel Chocolat Valentines chocolates & bubbly competition. 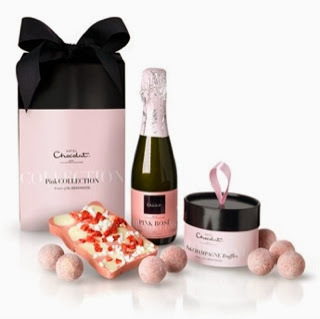 Who would like to win this amazing Pink collection chocolate selection and a small bottle of pink bubbly from the fabulous Hotel Chocolat? Please read the terms and conditions on Rafflecopter before entering. My partner and our son. Maybe, if they were good. Ooh I might let the kids have some... who am I kidding they'll nick the lot! Today I learnt that chocolate could be shared!! This would be mine, all mine though. My partner, but only if he's very good! My mum, as she loves Hotel Chocolat. My mum - she deserves it! I would share these with my best girlfriend as we both celebrate valentines day together newly single! Wife and I would share - she has first choice and I get the rest! Far too yummy to share! My hubby. It's our anniversary on 19th feb.
My hubby, but if he left the room I might sneak a few extra! I'd have to share with my own mum as she's just amazing!! I'd share with my other half, but he's a complete chocoholic, so I'd need to be careful he didn't eat all the chocolates. Can i hide them?I would share with my mum though. I'd have to share with my hubby! hmm i think id have to keep this for little old me here, dont often get luxuries. Can't lie I'd keep them for myself! My husband - on our non valentines day as he is working on 14th! I'd share them with my hubby. my lovely boyfriend. its his birthday on valentines day so i suppose id have to! The bubbly I'd sahare with my partner but I might keep the chocs for myself! I'd share with my boys, the bubbly would be all for me! I'd share with my mum because she would help herself otherwise! I would share them with my friend! I'd share them with my mum. Or perhaps give them as a gift to my sister and her husband in law. my hubby and kids, no bubbly for the kids though. maybe my partner Wayne, depends on the day! I'd share with my husband and kids. I'd share with my Sister and Mother in Law. We all like to have Sunday brunch once a month and catch up with a glass or two of wine and box of chocolates. I would keep them to myself!! I would've followed you on google+ but I can see no link to do so and searching google+ just comes up with a lot of people called liv. I would share them with my partner. I would share them with my husband, John. Can I keep for myself?! My husband it would make sure I shared! I'd share them with my mum! Nobody- they would be all mine !! I'd have to reluctantly share them with my partner and 2 children.